Heart rate monitoring is a common procedure for most of health related projects. Therefore, producing sensors modules and circuit boards for such tasks will facilitate and push forward the development of new health-tech projects. 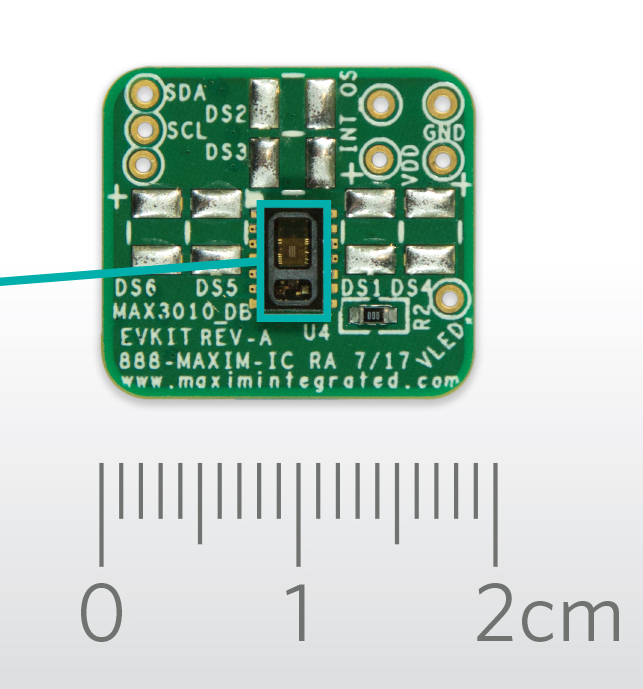 Maxim Integrated, an analog and mixed-signal integrated circuits manufacturer, has developed a new module for measuring heart rate and pulse oximetry. It’s called “MAXREFDES117#”, derived from Maxim Reference Design, and it is a small board which is compatible with Arduino and Mbed boards, enabling a wide range of possibilities for developers. 1. 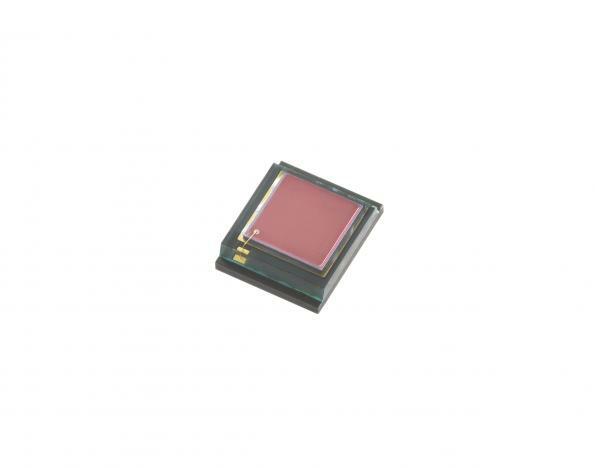 MAX30102, a high sensitivity heart rate and pulse oximetry sensor. It is used with integrated red and IR LEDs for heart rate and pulse oximetry monitoring. 2. MAX1921, a low-power step-down digital-to-digital converter. It generates 1.8 V from input to supply the sensor. 3. 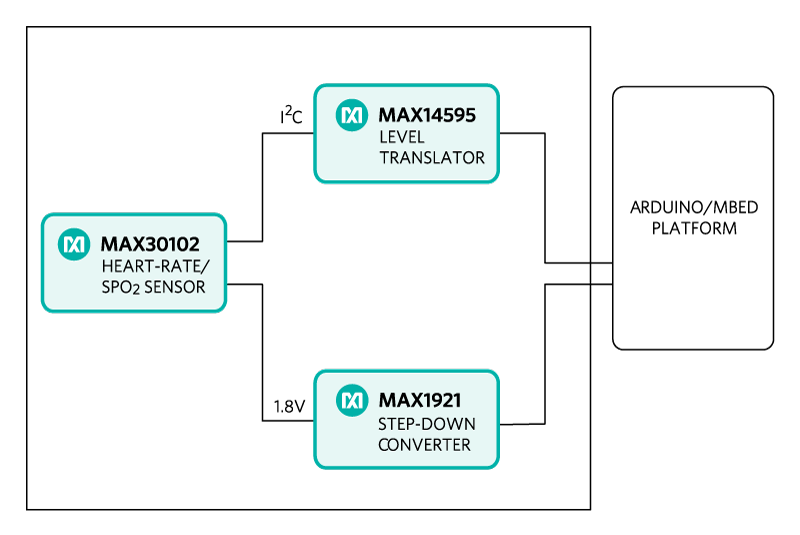 MAX14595, a high speed logic-level translator. It works as an interface between the sensor and the connected developing board. The board size is only 0.5” x 0.5” (12.7mm x 12.7mm) and has low power consumption that make it suitable for wearable applications. Thus, it can be placed on a finger, an earlobe, or other fleshy extremity. 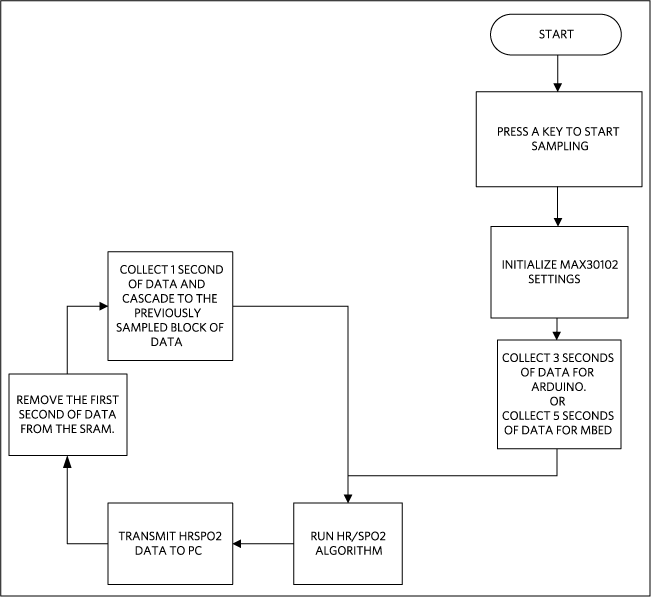 MAXREFDES117# uses open-source heart-rate and SpO2 algorithm in its firmware. 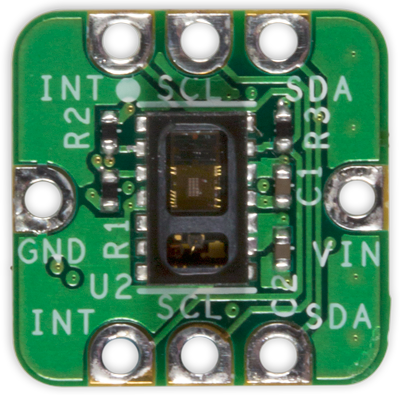 It also can be used with any controller having I2C interface. But the available firmware had been tested only on 6 different development boards, three of them are Arduinos (Adafruit Flora, Lilypad USB, and Arduino UNO), and the others are mbed boards (Maxim Integrated MAX32600MBED#, Freescale FRDM-K64F, and Freescale FRDM-KL25Z). Accuracy of data collected by MAXREFDES117# depends on the used platform. According to the results with tested boards, Arduino boards give less accuracy than mbed ones because of theirs smaller SRAM size. MAXREFDES117# is available for $20, it can be ordered online through the website. More detailed information and quick start guide are presented here. In addition, all of the source files including schematic, PCB, BOM, and firmware are open and can be reached at the official product page.